Six years into its existence, the BVI Swimming Federation will have a record 10 athletes competing in the 24th OECS Swimming Championships that opens in St. Lucia on Friday and ends on Sunday. BVI Swimming Federation President Elsworth Phillip said from his experience, the OECS Championships is a meet that presents an opportunity to prove to the young developing swimmers that they are capable of competing with the older swimmers. 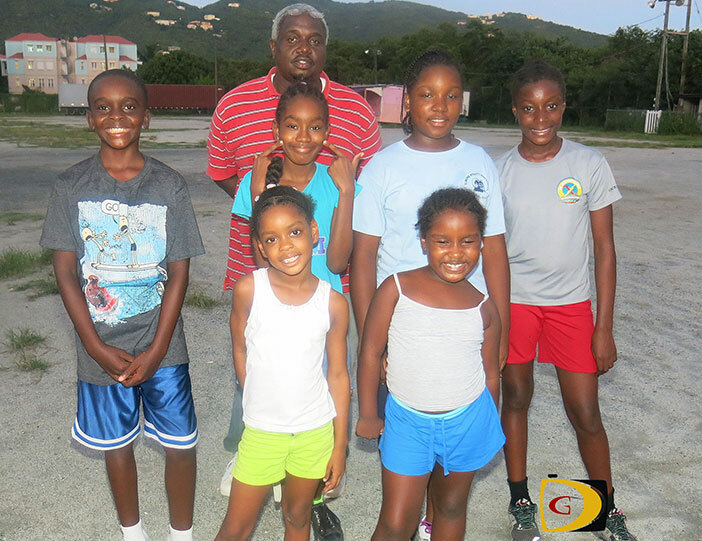 Elinah and Amarah Phillip will join eight home based athletes for the competition that includes: Giselle “Gigi” Archibald Bowers, Gregory Nelson, Tia Roberts, Kalya Roberts, Kassia Hayman, Kahdija Sampson, Chakia Smith and Jaden Marshall. With Amarah having Carifta Games, Commonwealth Games and Youth Olympic Games experience and Elinah gaining Commonwealth Games and Carifta Games experience—winning gold earlier this year—Phillip said he’s excited in the way Gizelle—who had her final tune up in St. Thomas last month—has been progressing. A year ago, led by Elinah who established four records, the BVI walked off with 16 OECS Championships medals 10 of which were gold. Phillip said events like the 50 fly, 50 free as well as the 100 fly, 100 breast are events they dominate with the capability that they have. He added that the OECS championships are considered a Level II development meet, which is just a notch down from the Carifta Games and it’s a good development meet for the swimmers. Following the OECS Championships, the BVI delegation will head to St. Thomas for the Virgin Islands Championships later this month to compete against their St. Thomas and St. Croix counterparts. “They will be primed to do their thing in the VI Championships following the OECS Championships,” Phillip said.